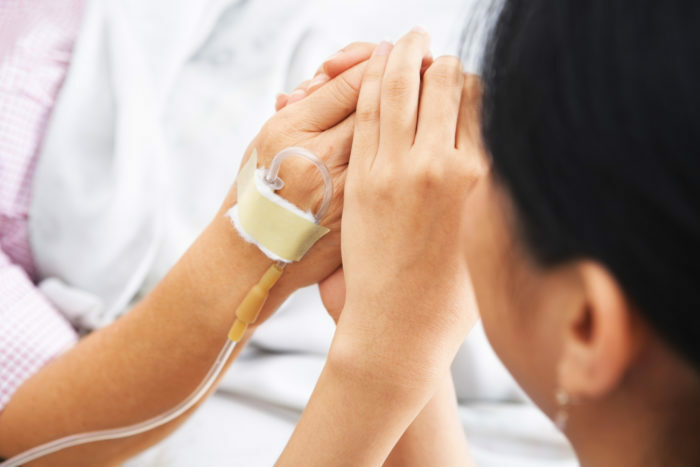 For many of us, spending time in a hospital is a very stressful experience. Not only do you have to contend with your own illness, but spending time in this type of environment is scary. Granted, it depends on a lot of various factors, but the one main factor for you can be the feeling of isolation. So, what can be done to make sure that your hospital stay isn’t a stressful time? You can focus on the real reason you are there, getting better. Being stressed by the environment is one of those things that, unfortunately, is par for the course when you are spending time in a hospital for a lengthy stretch. All of these other people, as well as technology and machines can be somewhat intimidating. Like, if you see those medical workstations on wheels, the worst thoughts can pop into your mind. It may be something as simple as this that can increase your anxiety. The best way to deal with this is just to do your best to relax and be inquisitive. A lot of these large machines aren’t as intimidating as they would appear, and, in fact, they are quite interesting. If you get used to this quickly, it may not feel as much of an alien environment as it once did. You need your friends and family there whenever possible as moral support during a hospital stay. Because feeling isolated is something nobody wants to go through. And it can be especially lonely if you wake up in the middle of the night. or you are in a busy ward, these things can be very demoralizing and, regardless of who you are, it can be quite scary. Find ways to keep in contact with the people you love, and those that are looking after your best interests will come and visit you as much as humanly possible. You can feel very hemmed in when you are in hospital, so do things to stave off boredom, as well as distract yourself from your surroundings. Sometimes we have an encounter with a fellow patient who is infinitely interesting. You are happy to hear them reminence over their tales of yesteryear. But 9 times out of 10, you are in a ward with other people who are pretty quiet. So, have the essentials, such as an iPad or a stack of books that you’ve meant to get round to reading. Remember, laughter is great medicine. Have a wealthy collection of stupid movies on hand, this will keep you laughing and your mind off of your worries. It’s very easy to say that you should relax and de-stress in this environment, and yes it will be beneficial to your state of mind in the long run. That’s it can be nothing in comparison to feeling that there is no escape. Remember, there is always a light at the end of the tunnel. The thing that will keep you going is a positive outlook for what lies ahead. Yes, it is a difficult time for anybody going into the hospital. In some ways it is mind over matter, so stay focused, and this will see you through your hospital stay.